PoPville » Where are your “must-try” Mumbo Sauce spots? 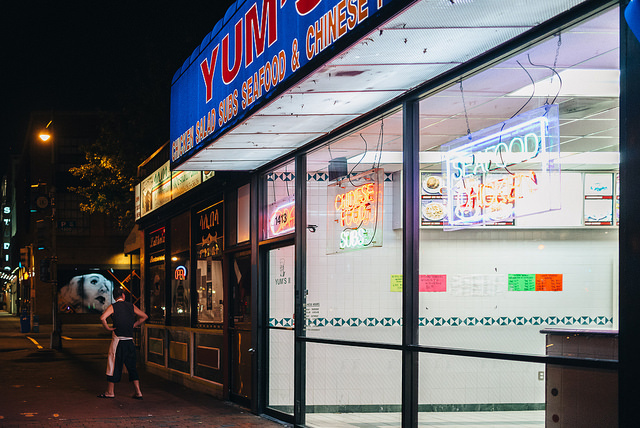 Where are your “must-try” Mumbo Sauce spots? Ed. Note: Despite this question, which I believe is genuine and comes from a good place, the white people in the above video are not representative of all white people in DC. Some are quite fond of Mambo sausages Mumbo sauce. The video is of course real people but almost Portlandian in the portrayal. I’ve never had mumbo sauce, nor even seen it offered. I’ve heard about it, and seen articles, but I have never come across it. I can’t say I’ve ever actively looked for it, but I can’t say that I actively avoided it either. I’ve just simply never seen it offered anywhere. From what I understand, it’s mostly found at take out/carry out places, and I’ve been to a few over the years, to no avail. Be sure to tune in next week for our tutorial on Go-go.